Yet more great feedback from another happy customer. One of the best things about our job, is that we have lots of happy customers, and they become friends as their results are always so fantastic, which is marvellous. 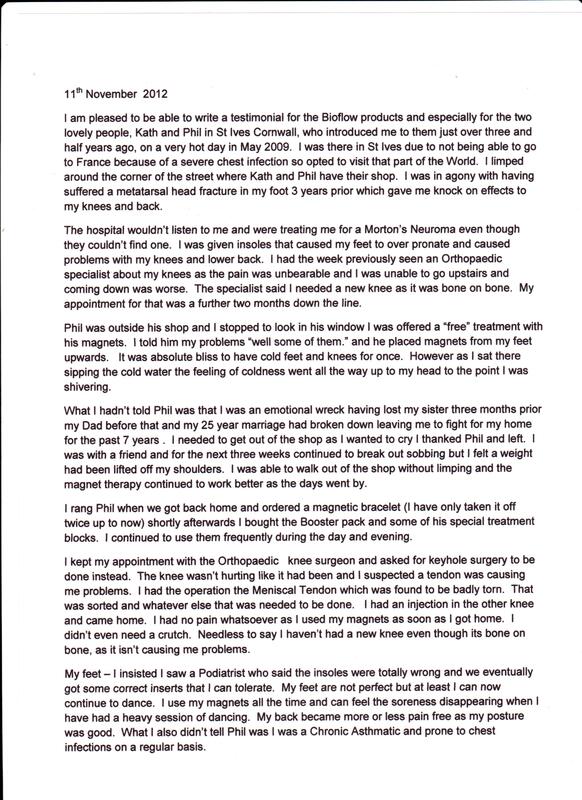 This is a testimonial from one such lady, Margaret Wyatt. 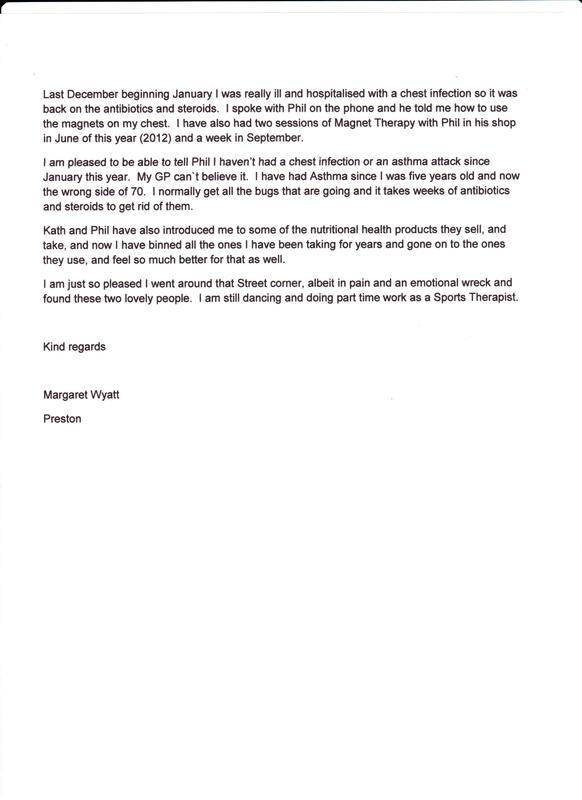 Interestingly to us, Maggie had not mentioned half of her issues to us at the time when she tried our free sample, so this letter was a big surprise to us in that she had so many problems that our products helped to solve.